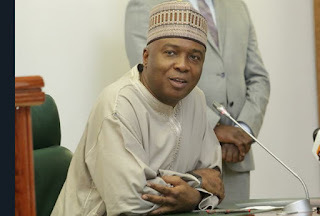 Senate President Bukola Saraki has vowed that Kwara State will never take instructions from godfathers in Lagos State. The Senate President was heard saying this in an audio clip while addressing the Peoples Democratic Party members recently. The audio, was first posted by blogger, Kayode Ogundamisi, on his official Twitter handle. Although he did not mention the name of the Lagos- based APC stalwart, Asiwaju Bola Tinubu, supporters were heard shouting Tinubu’s name in the background. 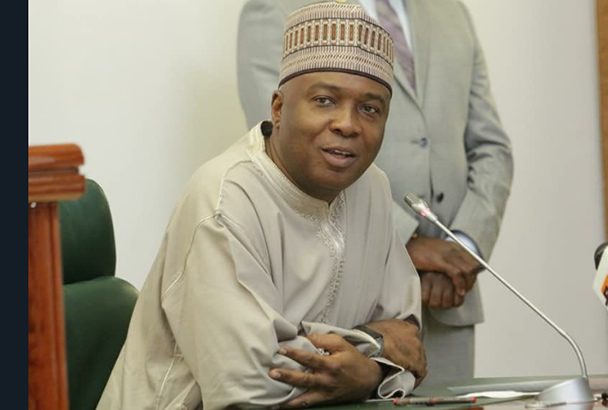 Saraki said, “If you don’t even want Bukola, bring someone from Kwara and empower him. They don’t want that. Rather, they want you to be going to Lagos to get instructions. If I am the only one that remains in this party, I will remain and fight to the last. “In politics, we are in the top three; to tell us to leave our ward and be going to Lagos to take instruction? Don ’t be stupid.